My friend, Donna, and I met Saturday morning at a favorite antique shop. I had driven Motor Man’s truck in anticipation of her buying a cupboard she saw on our last visit there. She bought the cupboard, we loaded into the truck and safely delivered it to her house. Then she followed me to Smithfield, where we did a little shopping, and had lunch at Smithfield Station with Motor Man. After lunch, we did a little more shopping, and Donna (my elementary/high school classmate) finally met my son, Marshall. Yesterday, Motor Man and I took his mom to lunch, and we went riding out in the country. And with all those photo ops, the only pictures I took all weekend? 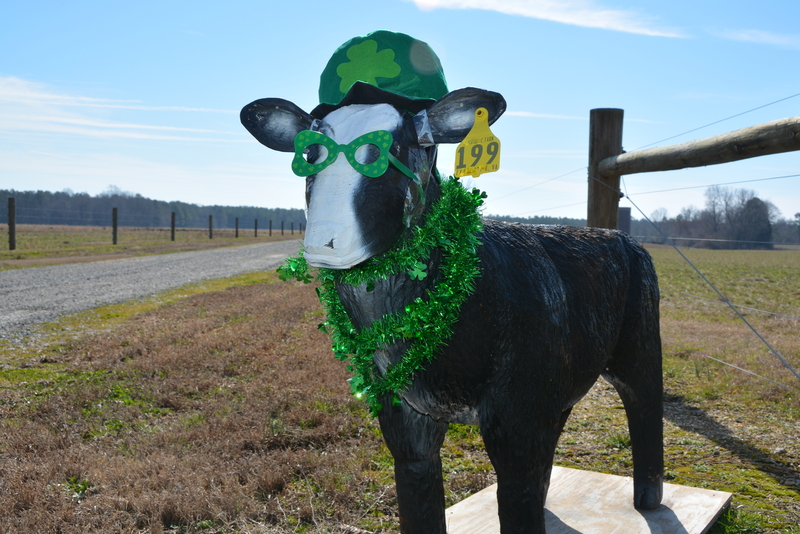 These…of a cow statue…at the entrance to a local farm. 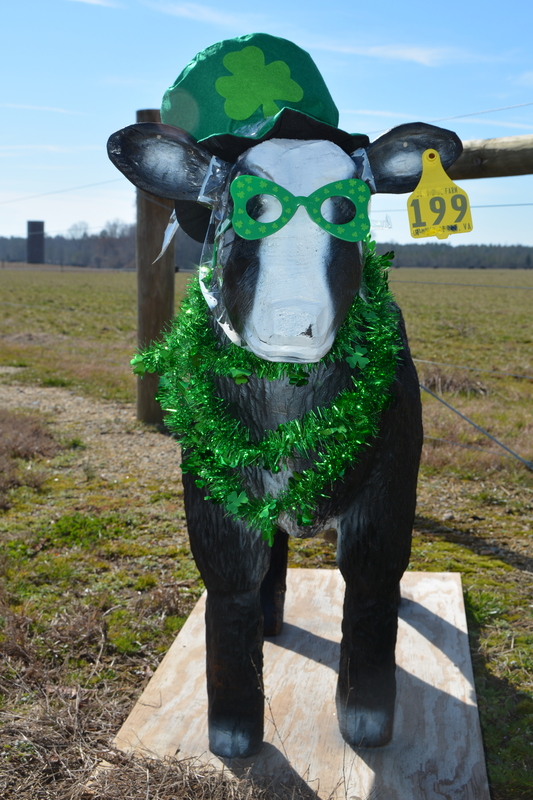 This cow is “mysteriously” decorated for every holiday….